We recently had a visit from Costa Georgiadis who was also interviewed in our garden. Below is a letter of support from this avid gardener and sustainability promoter. Gracious Greetings all ye Gardeners, Groomers of the Green, Growers of the Great and most importantly City Farmers. 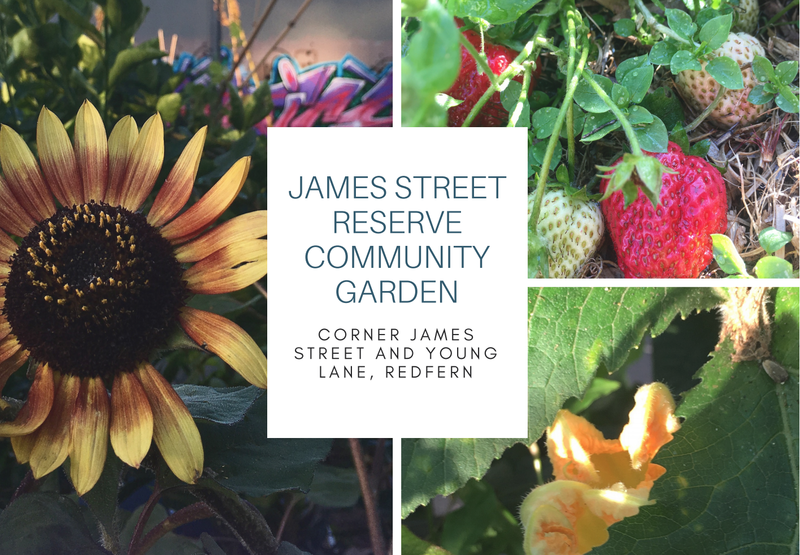 It was a great pleasure to be invited to attend your opening of James St Reserve Community Garden today. While I am in Armidale in person, I am here with you in compost, microbes mulch and worm wishes. It is critical that ocassions such as these are attended and given the true value and significance that they hold. To each and every person that has contributed to this garden that you all stand in…from the initial idea, to the hatching and nesting of the concept, to its translation into a plan with real dimensions and quantifiable details, to the specification, its quoting, tendering and ultimate construction, to its incorporation into the community treasure chest through involvement and inclusion…each and every part of the process is important and each and every one of you have formed a spoke in the wheel that now spins before us as a real community garden. And what’s even more inspiring for me is that your park is contributing to a larger community wheel, building momentum beyond your local community, fuelling the matrix of projects that are contributing to a regional, state, national and ultimately international awareness and urgency about sustainability and our role in the big picture...our ability to impact on the health of our mother earth. So step back for a second, detach from the effort, the trials and challenges that have taken place along the way and take a look around 360 degrees.. 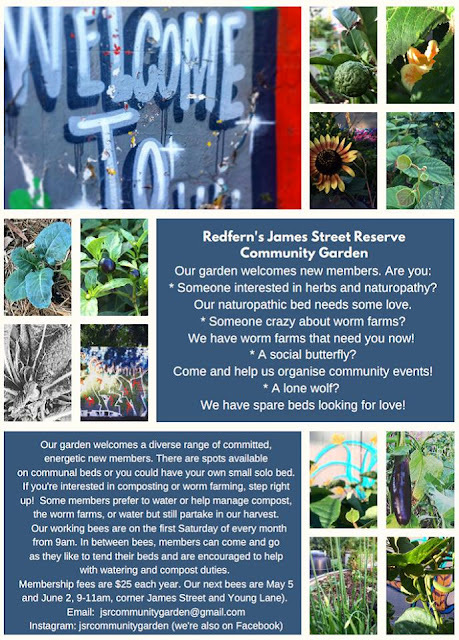 Turn slowly around and look at what has been achieved...take a breath and absorb the beauty that exists in each and every minor detail and how they combine to create the whole community garden which sets off with you all today on a journey… a journey that you all will be able to share with the next generation in years to come, as elders of the James Street Reserve Community Garden. Congratulations indeed. I believe in what you have done. Hugs and wishes and lots of worms and compost.